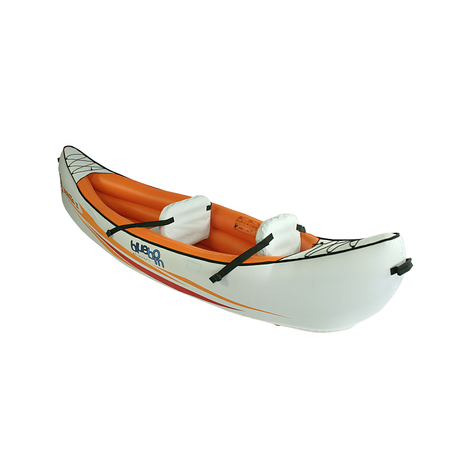 Buy Blueborn Boat Indika 2 - 2 person canoe with nylon hull 325x80cm (load capacity 165kg) from Blueborn at Camping Outdoor online. 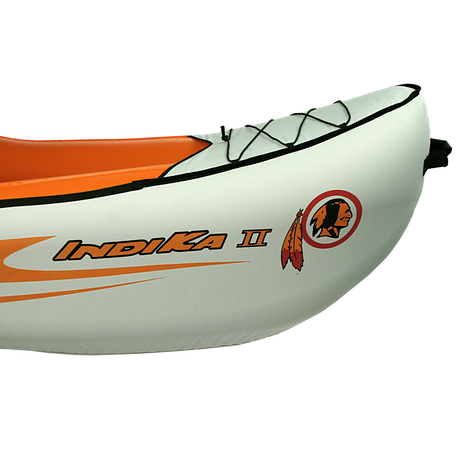 Blueborn´s inflatable Indika II inflatable canoe is a reliable companion for two people in their leisure activities on the water. 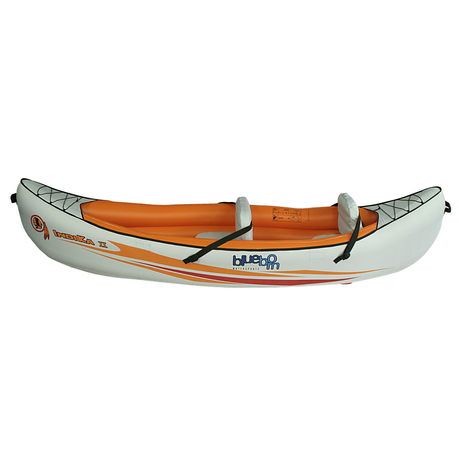 The kayak is inflatable and thanks to its three air chambers it is very robust. 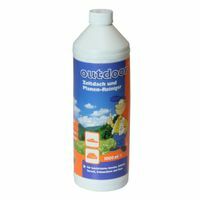 Due to its shape and the removable fin, it is very reliable and easy to manoeuvre. 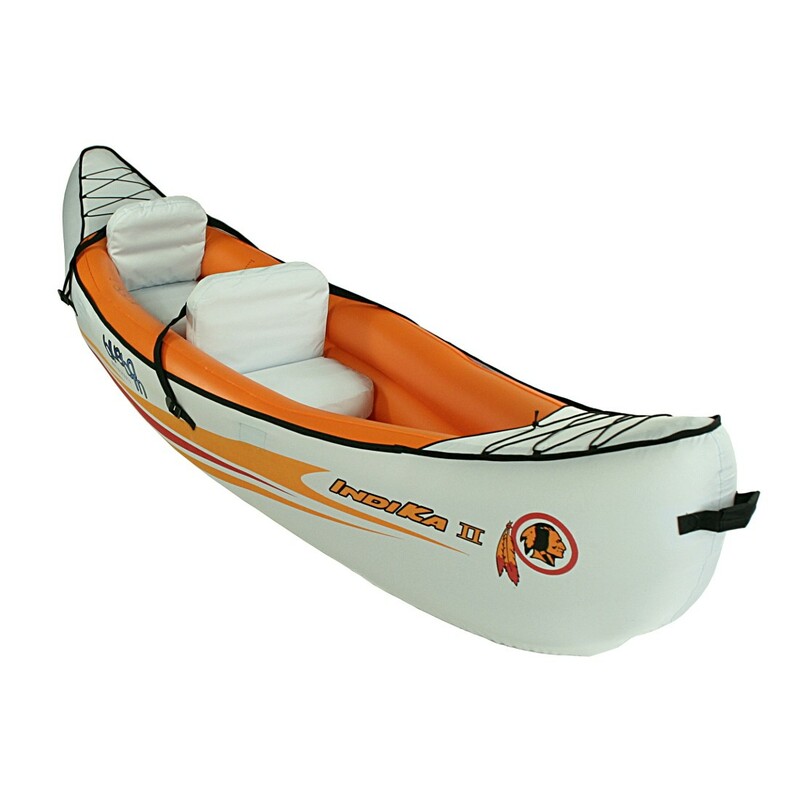 The durable nylon cover and the high-quality tarpaulin PVC bottom protect the kayak from abrasion and damage. The bar construction also guarantees a high degree of stability. The scope of delivery includes two removable seats with a high backrest. The high backrest provides the appropriate comfort. 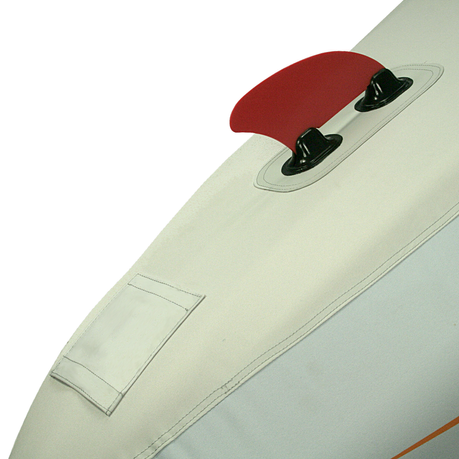 Tension straps have been installed to secure your luggage and accessories to the boat. If an air chamber should be defective on the way, a repair kit is included in the scope of delivery. 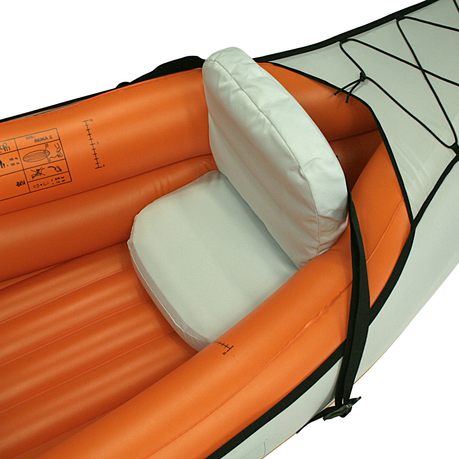 The compact boat has three Boston valves for easy inflation and bleeding. 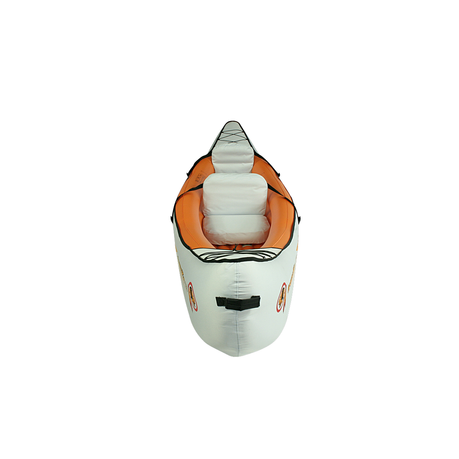 With the dimensions (LxW) 325x80cm the boat has the perfect balance between length and width. 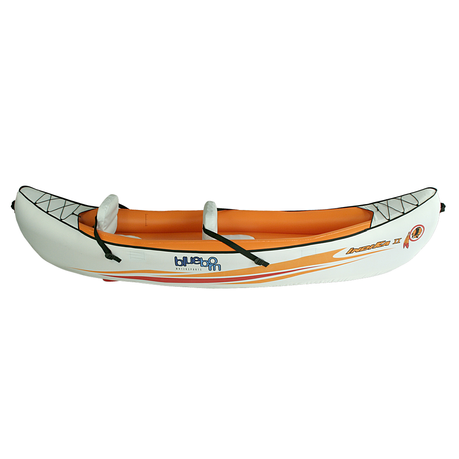 This shape makes the canoe particularly popular. The total load-bearing capacity is up to 165 kg. 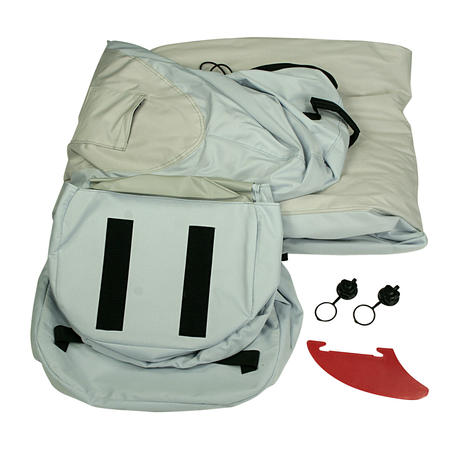 For better transport, a practical transport bag is included in the delivery. 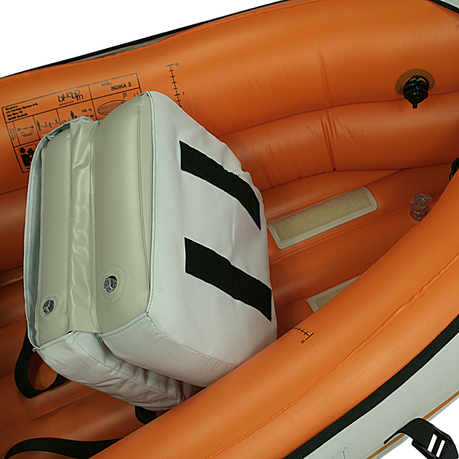 With the dimensions of 65x50x20cm the lightweight with 11,7kg can be easily stowed and transported. On this picture you can see all dimensions of the boat. 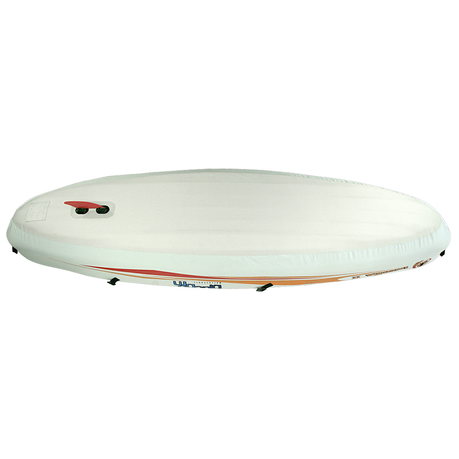 The boat is 325 cm long and 80 cm wide when inflated. 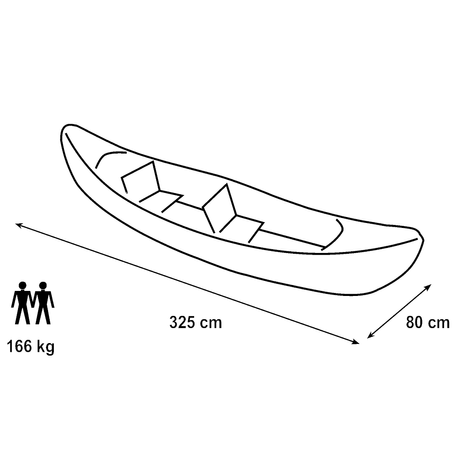 The canoe can be loaded up to 165kg. Blueborn Watersports gives you the assurance that the products are under the strictest monitoring and control. Our boat is TÜV certified: TÜV Süd tested EN ISO 6185. 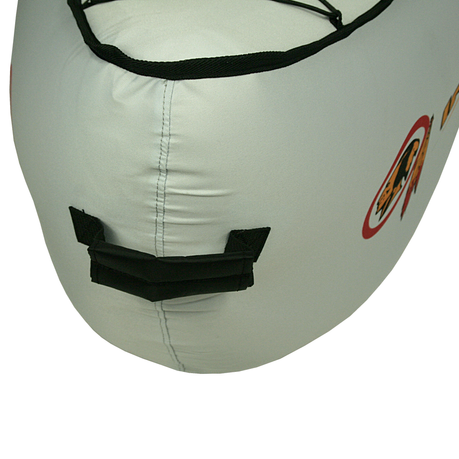 Tension straps have been attached to the bow and stern of the boat to secure your luggage and accessories. 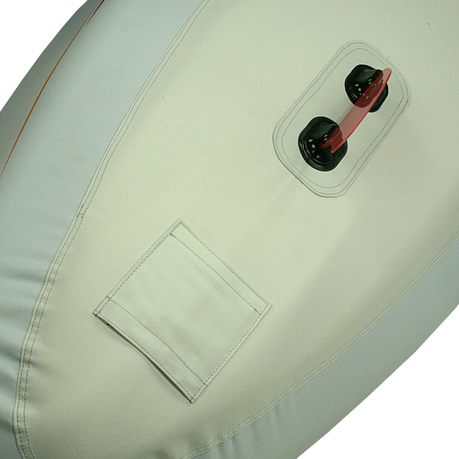 Two removable seats are included in the scope of delivery. 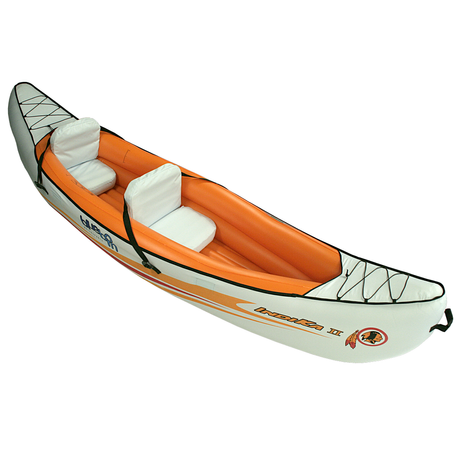 Up to two persons can be accommodated in the canoe. They can be fitted and removed with Velcro fastener. 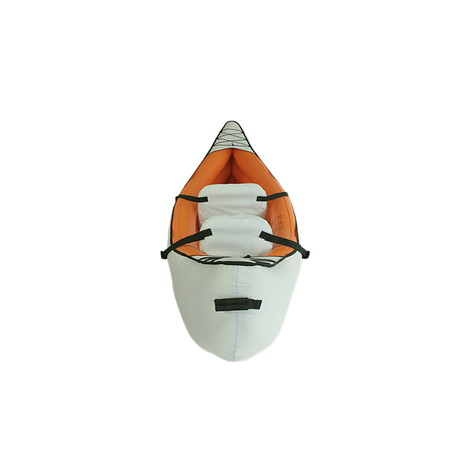 Track safety and easy manoeuvring is ensured by the fin mounted on the ground. If the fin gets lost, it can be replaced by a suitable fin at any time. 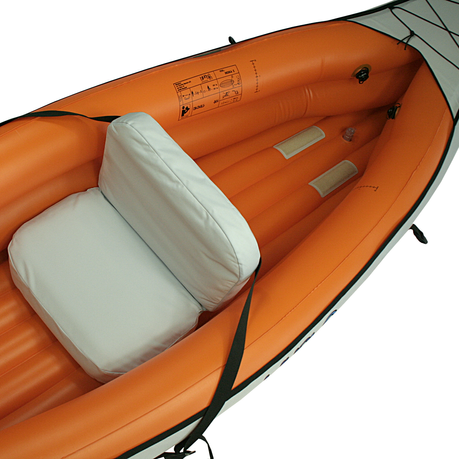 For the canoe suitable for touring, a tarpaulin - PVC floor was used.It provides the necessary stability and tear resistance. The outer skin, the air chambers, two seats, the removable fin, the Boston valves and a practical packing bag are included in the scope of delivery. 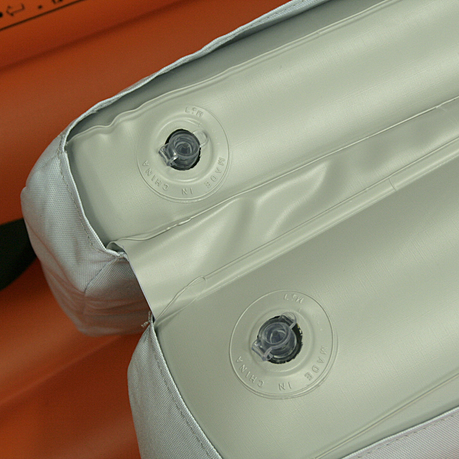 In order to transport your Blueborn boat conveniently and easily, a carrying bag is included. 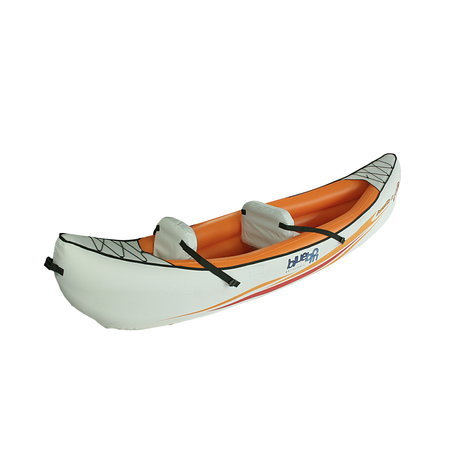 With a weight of 11,7 kg and a packing size of (LxWxH) 65x50x20cm you can take the canoe everywhere. The central web construction and 3 robust air chambers ensure a high level of safety and stability. Thanks to the high load capacity up to 2 persons can ride in the canoe. 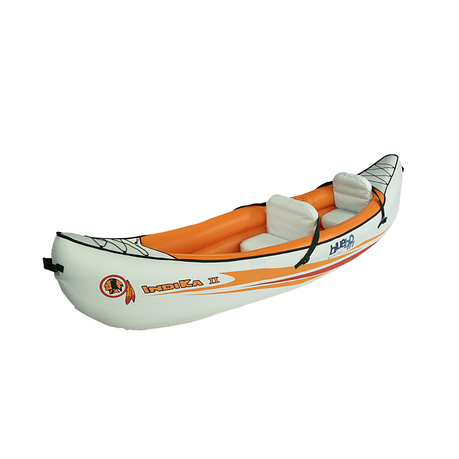 The touring canoe is made of durable and especially tearproof PVC. The removable fins on the underside ensure good track safety and manoeuvrability. 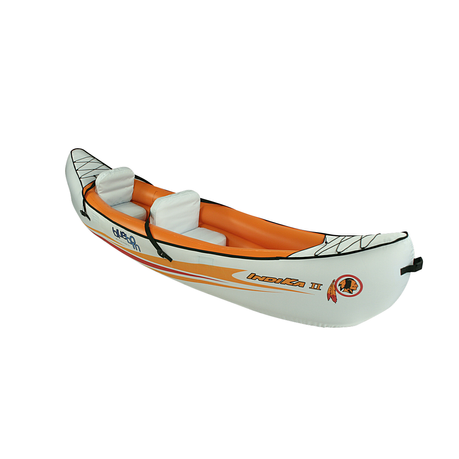 The compact rowing boat is perfect for many different leisure activities on the lake or river and thanks to its small packing size it can easily be stowed in a car, for example.